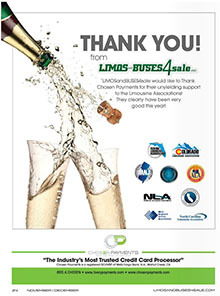 We are humbled and inspired by an article that was just released in the November / December issue of Limo and Buses 4 Sale Publication. The article discusses a range of ways that Chosen Payments has committed to giving back in the industry, while delivering exceptional service to our customers. Here’s a link to the article, and a big thank you to Limo and Buses 4 Sale !